They say that purple is the color of royalty! Queen Elizabeth even forbade people to wear purple because she wanted all of the purple stuff to herself. That's totally not fair, because, objectively, purple is probably the best color of them all! Well, these days, anyone can wear purple as much as they like. You can head outdoors, completely clad in purple and there's nothing that the queen can do about it! Heck, you can even roll into the party with a 5 pack of purple glow sticks to name yourself the one and only king of the party! That's right! 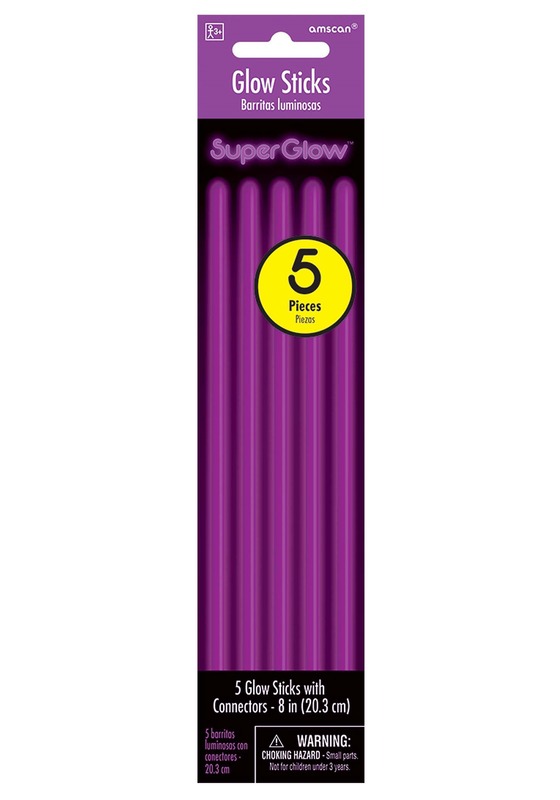 These awesome Purple Glowsticks can make you feel the king or queen of any party. They come in a handy 5 -pack. They're 8 inches long each and come with 5 connectors that let you customize your glowstick experience. Just give them a little snap and they'll turn any shindig into a glow party! If you're headed to a concert or a music festival, then these purple glowsticks should be the first thing on your checklist! Make sure to stock up on these so you can light up the night with these!